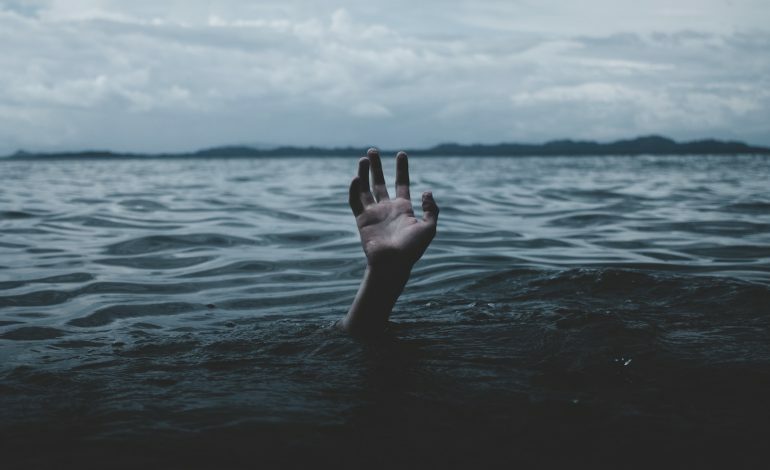 If you’re a highly sensitive person (HSP) like me, you know what it’s like to be truly “flooded.” Flooding is another term for being overwhelmed emotionally or mentally, and HSPs are especially susceptible because of how our brains are wired. Our nervous systems have a lower “threshold,” which means we’re more responsive to stimuli. There’s also evidence that there’s overlap between the parts of the brain that influence our high sensitivity and our empathic responses. In other words: The brain of the HSP is hardwired to be ready to respond to their world. And that response can sometimes be extremely uncomfortable. What Does It Mean to Be Flooded? Imagine you’re 8 years old and it’s way past your bedtime, but you’re desperately craving a cookie, so you sneak downstairs in the ultimate stealth mode to avoid getting caught by your parents. You open the jar and gently set the lid down, reach your hand in, and freeze — absolutely certain you just heard a noise. Immediately your heart starts racing, your ears throb as they strain to hear any noise, your body tenses in preparation of having to move at the speed of light if your parents do indeed know you were in pursuit of a cookie… and your brain starts developing possible explanations for being out of bed. Given the way we’re influenced by even these subtle parts of life, the “big” things are much bigger for us, too. It’s when faced with things like meeting your boss, interviewing for a job, addressing conflict with a friend, or listening to someone vent that our reactivity can lead us to be flooded. And for HSPs with mental disorders such as anxiety, it becomes even easier to be triggered. You may have a hard time focusing as your brain gets overwhelmed trying to process information. You may suddenly feel anxious — or you withdraw mentally as the brain “overheats” and copes by turning off for a second. Your emotions may be all over the place. You may not be able to explain which emotions you’re feeling. You may have physical symptoms such as sweaty hands, tunnel vision, or lightheadedness. Outwardly, flooding can look like panic or a complete shut-down. Whatever form it takes, being flooded is an uncomfortable feeling, and it can take a long time to come down. Honestly evaluate whether you need to remove yourself from the situation. If you’re having panic or unsafe thoughts, you have the right to politely excuse yourself for a moment and do what you need to do to get to a healthy place mentally. That may be going to the bathroom, the break room, or your car for a couple moments and breathing, calling a friend, or listening to your favorite song. If you need to leave, you have the permission to do so. This is probably the most common, over-emphasized anxiety-reducing technique ever suggested… but there’s a reason for that. Breathing really does work! And it can be done subtly. Try taking a big breath and then huffing it out quickly. Or, breathe in counting to five, and then breathe out counting to five again. Go slower than you feel is normal; soon your heart rate will start coming down and the oxygen will help your brain. The anxiety will tell you that you can’t afford to slow down your breathing, but try it anyways. It’s worth it. This sounds weird, but it works. You can count five things you see, four things you hear, three things you can touch, etc., or you can count to 100. Counting backwards by increments of three is especially effective as it engages the brain more than counting up, thereby taking your brain out of anxiety mode. Similarly, many HSPs benefit from a technique called “tapping.” Tapping involves gently tapping certain places on your own body to distract the anxious part of the brain and re-engage your logic centers. You can learn about tapping here. Mindfulness can be helpful after being flooded, as it soothes the brain and gets your focus back on the present. Practicing it consistently may help reduce the frequency of being flooded. There are many apps for this, such as Breathe, Headspace, and Calm. And be good to yourself. You can be frustrated that the flooding happened, but don’t be frustrated with yourself for being flooded. See it as an accomplishment that you made it through, and reward yourself with some self-care, whether that be a latte (probably go decaf after being flooded), making a favorite dinner, or going on a long walk. The scariest part of these moments is feeling like you’re the only one who has them. Find someone trusted and express how you reacted to a situation. They very well might know exactly how you feel (or they may simply know other HSPs). If you’re an HSP, flooding might be a regular occurrence in your life, but know you’re not alone — and there are many ways to help yourself through those moments.